Here is additional information about the legal effort by the Illinois Attorney General’s Office to put in place a consent decree to reform the Chicago Police Department. A consent decree is a court order that establishes an enforceable plan for sustainable reform. Typically, consent decrees are detailed documents that include specific requirements and deadlines for action. Police consent decrees in other cities around the country have required an independent monitor. The independent monitor needs to be approved by a federal judge. Once the federal judge approves the independent monitor, that monitor is charged with measuring the police department’s progress by making sure the police department implements the changes required in the consent decree. The independent monitor reports to the federal judge. The federal judge oversees the police department’s compliance with the consent decree and holds the department and the city accountable for satisfying the consent decree’s requirements. Why is a consent decree needed? A consent decree—with an independent monitor to evaluate the progress of reform and with oversight by a federal judge—has proven to be the most effective and transparent way to put in place new practices that protect city residents and ensure constitutional policing in cities around the country. Other police departments across the country have reformed their practices under consent decrees, often with considerable success. What issues does the consent decree address? The consent decree also sets out timelines for implementation of the reforms and details about monitoring and enforcement. To view a summary of the key provisions of the consent decree, click here. What does the consent decree process entail? Over the course of several months, the Attorney General’s Office, the City of Chicago, and the Chicago Police Department negotiated the specific terms and requirements of the draft consent decree. The Attorney General’s Office worked with national policing experts who have assisted with reforms and implementation of police department consent decrees in other cities. Additionally, the Attorney General’s Office reviewed City of Chicago and CPD policies, conducted site visits, interviewed City and CPD personnel, and held a series of focus groups with CPD officers. The Attorney General’s Office also sought the input of Chicago residents through 14 community roundtables held throughout the city (to review the reports that summarize the feedback received through the CPD focus groups and the community roundtables, click here). 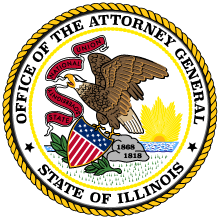 The Attorney General’s Office and the City of Chicago announced a draft consent decree on July 27, 2018. The Attorney General’s Office posted the draft consent decree and invited Chicagoans to offer their input. The Attorney General’s Office and the City carefully reviewed the nearly 1,700 comments received, and negotiated changes to the consent decree based on the comments. The Attorney General’s Office and the City then filed the revised consent decree in federal court on September 13, 2018. The federal judge overseeing the case accepted written comments on the draft consent decree until October 12, 2018, and held public hearings on October 24 and 25, 2018. The judge approved the consent decree on January 31, 2019. What is the role of the independent monitor? The consent decree sets out a detailed plan for reforms that must be implemented by the City of Chicago and CPD. The federal court ultimately determines whether the City and CPD are following the requirements of the consent decree. To assist the federal judge in evaluating the City’s and CPD’s actions and progress in implementing reforms, the consent decree requires the selection and appointment by the court of an independent monitor. The independent monitor will evaluate and issue public reports on whether the City and CPD are meeting the requirements of the consent decree. The independent monitor’s assessment of CPD’s progress will be informed, in part, by outreach and engagement with the community. What is the role of the special master? The special master will be assigned specific projects by the court. At present, the special master’s primary tasks will include facilitating dialogue and assisting the Attorney General’s Office, the City, and other stakeholders in resolving issues that could delay progress toward implementation of the consent decree. How long will the consent decree last once it is approved? By law, the consent decree must stay in place until a federal judge determines that the police department has implemented and maintained the reforms mandated in the consent decree. The length of time this takes depends on how rapidly and how well the City and police department work to implement the reforms.